Also appearing were: Kid Ramos, Brian Lonbeck, The Ventures, and others. 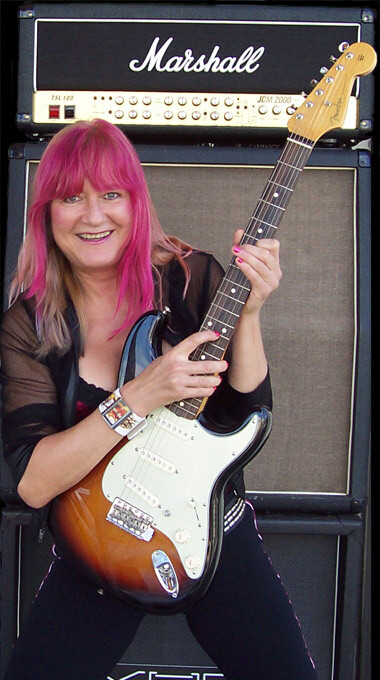 If you loved Rynata as The Shredmistress one of the Top Female Metal Guitar Players – you will love her Blues Guitar playing. Getting back to her roots, making it sound amazing, plus having loads of fun. Consequently, that is what this journey is all about. Some might call it ‘Midlife Crisis’ but for Rynata it is the natural way to get back to a more organic playing style. Which is what the Blues does for her. Make no mistake though – this is no ordinary Blues Lady. Anything and the musical kitchen sink is thrown into her Blues Stew. Truly progressive, yet adhering to classic Blues formats, putting her own unique stamp on Modern Blues Guitar. That is her ticket. After all … most, if not all, of 20th and 21st century music originates from the Blues, including Jazz. Being an accomplished jazz guitarist, Rynata fuses classic blues forms with Jazz Blues tonalities. Additionally, throwing in her famous amazing shred guitar dexterity for flavor. 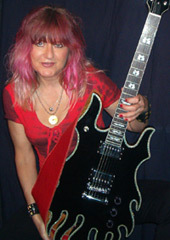 Check out her Blues Guitar Tutorials. From basic turnarounds, to traditional, rock blues and more advanced jazz style, all is and will be covered. Her blues guitar technique is very smooth, passionate and elegant. Hard-hitting when necessary, creating elaborate bluesy musical landscapes at other times. Tthe Surprise Factor, as she puts it, is never far away. Anything can happen when this Blues Lady takes the stage. Of course, that list goes on. The list of venerable old and younger Blues Guitarists, who have made their mark, is extensive. Furthermore, let’s not forget a slew of Female Blues Guitarists and Women have surfaced on the blues scene. They want to play guitar just like their male counterparts. Rynata has quite a few women guitar students who want to play the Blues. 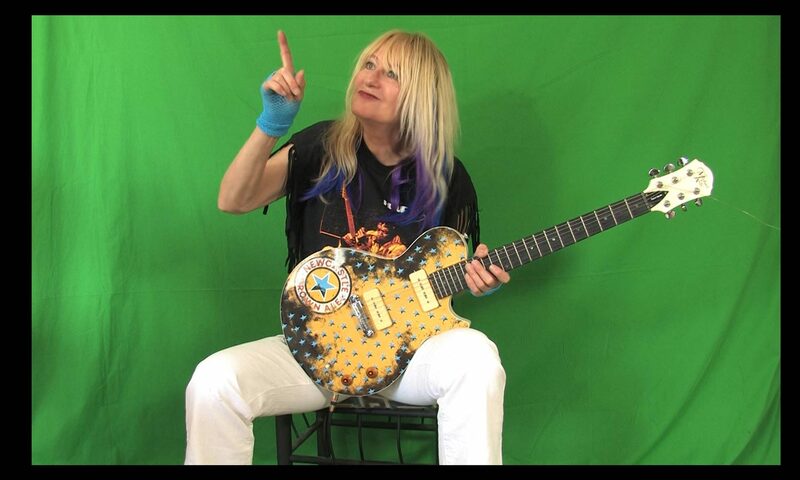 We will feature some of the most interesting Female Blues Guitar Players to-date. Coming to Germany | France | England | 2018 and assorted cities around the Country.